It's time to start blogging again. It has a been crazy, crazy year with summer now upon us, and I'm excited to be with my family. Ice tea and gardening. Family projects and travels. Movies and books. And so many stories already. At some point at the inception of summer break, Max and Todd had an interesting interchange that has evolved into a family summer reading challenge. Max, an avid reader, says to Todd, rather randomly: You know how you say you don't read very much, Dad? Max: Well, maybe you should read more. I challenge you to read ten books this summer. If you read ten, I will pay you a reward. Max is so much like Brian! We can lose him for hours, only to find him either with his head buried in an engaging book or in a delicious game of Minecraft. This challenge sparked quite the conversation, and it evolved into all four of us planning to read ten books this summer. In partners (Max-Todd, Briggs-Susan), we decided each will choose five books for our own and then five books for our partner. I decided to take advantage of this awesome challenge and work with both my boys on writing book reviews. So our summer of reading has begun....enjoy the reviews. And stay tuned for more. 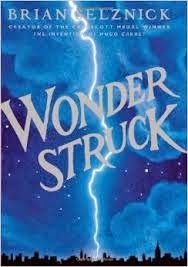 I read the book Wonderstruck by Brian Selznick. He also wrote The Invention of Hugo Cabaret, which I read earlier this year. Wonderstuck is about a boy named Ben Wilson, who was born deaf in one ear and lived with his aunt and uncle in Gunflint Lake, Minnesota. Ben really wants to find his dad and goes on this journey to try and find him. He sets out by himself and then he finds his grandparents and they help him. His grandmother tells him the story of the life of the father. This book actually tells two stories, one in words and one in pictures. I liked this book and would recommend it because it has a lot of adventure and has two stories in it. 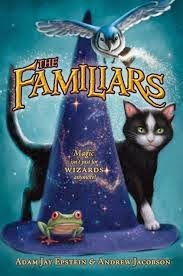 I just finished this book called The Familiars by Adam Jay Epstein and Andrew Jacobson. The Familiars are animals who have special powers. This book is about Skylar, a bird who has the power to make illusions, a cat called Aldwyn who has the power of telekinesis, and a frog named Gilbert who has the power to see the future when he is looking into puddles. The main story revolves around these animals trying to save their Loyals, who are children in magic training. I am usually not a big reader, but this book was really good. It made me read nonstop, as much as I could, because it was so exciting. I recommend this book because it has magic, and it has a lot of adventure. It's 2019. Once upon a time, it was 2005. What do these two years have in common? Calorie-free decadent chocolate torte with rich vanilla bean ice cream? Free manis and pedis for all? It doesn't hurt to dream a little. Instead, these two amazing years of God's faithfulness encapsulate the common theme of.....cancer. Last week I was diagnosed with breast cancer. I know, right? I mean, one would think that losing a spouse to terminal cancer with two littles still in diapers would ensure a "Get Out of Cancer Free" card for the rest of this human life. But as I learned many moons ago, God never promises us a comfortable life. He wants our hearts, our trust, our everything. And His promises are true and He is faithful. Always. In any crisis, we may ask, "Why?" As rational humans, we crave the why because it helps make sense of our world, the reasons, even the chance to possibly predict the outcome and to maintain control of the crisis. And though I don't have any definitive answers, what I do have is a reflective experience. For the most part, the why may or may not be answered in this lifetime. However, what I have discovered is the pause to stop in the midst and catapult oneself to 30,000 feet, alleviating the intensity to let God show you a glimpse of what He is doing. There is always a purpose, great purpose, divine purpose. I confidently say that because I see His blessings and hand everywhere. In how my community adds to the beauty of God's story for my life. In rich conversations. In messages. In people's generous hearts as they dig deep within themselves and ask, "what can I do to help?" this blog began over 15 years ago when my first husband, Brian, thought to share stories of our growing family. many, many moons later, Brian has entered the gates of Heaven and the blog has evolved and continued. these are the stories of my life with my two mini-maynors and one big mac.